Articles today i learned (til) Never forget anything ever again! Never forget anything ever again! 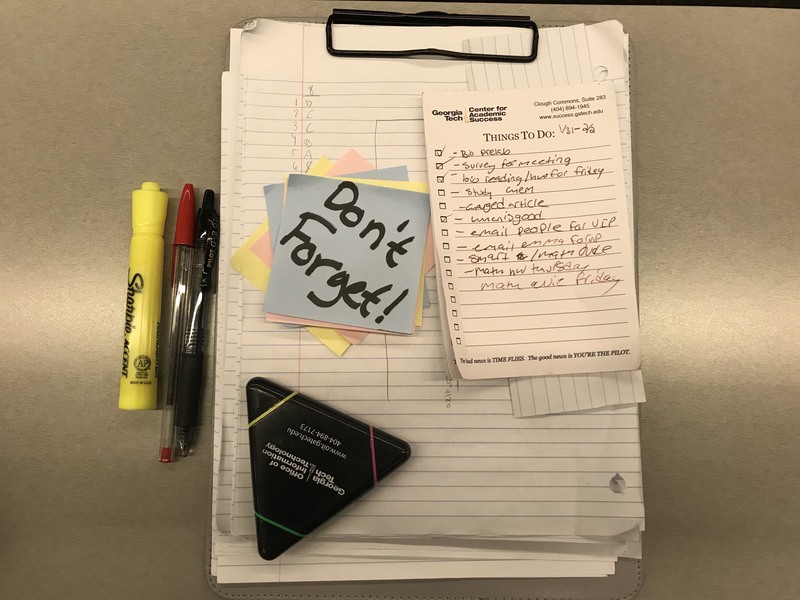 Whether you are cramming for an exam, or simply trying to remember your grocery list, memory is involved in practically every part of everyday life- and if you are anywhere near as forgetful as I am, it can be quite the struggle. One psychology model suggests that there is an easy way to improve how much you remember something of something, simply by adjusting how you engage with it. The Levels of Processing Model for memory, proposed by Craik and Lockhart (1972), is a major theory within cognitive psychology that attempts to explain the formation and retrieval of memories by detailing a processing hierarchy in the way you learn stimuli. They described three major categories of processing: structural or visual processing, which focuses on the physical characteristics of the material, such as the colors, shapes, or number of letters, phonological or auditory level of processing, which delivers information about how the information sounds, and semantic level of processing, a level that connects to the meaning of the stimulus, by defining it with respect to previous knowledge or evaluating what it means to you. According to their theory as one progresses from structural through the phonetic to the semantic levels, the depth of processing increases, and the better people are able to recall the information. In other words, the quality of memory is a direct consequence of the way information was learned or encoded: the deeper the level at which the information is processed, the longer lasting the memory it creates. The model has been criticized for not being a complete picture of how memory works, specifically because it doesn’t explain why processing it at specific levels would result in better recall. In addition, others have said it may not account for the amount of time it takes to perform each of these levels of processing (it might be better remembered just because they spent more time on it), and disregards evidence for separate mechanisms for short-term versus long term memories. However, it is well supported by a number of empirical studies that have found that participants who perform tasks at a “deeper” level when learning have significantly improved memories of the material when recalling it (check out Hyde and Jenkins (1973) and Craik and Tulving (1975) for some deeper analysis and supporting data). In my opinion, the Levels of Processing model of memory is one of the most useful psychology has to offer, because of its direct, real world implications. It emphasizes the effect of how we choose to process information, giving individuals more ability to control their memories, and taking some of the mystery out of the mnemonic. Using new vocabulary words in sentences, reframing those physics concepts to a previous experience, or making up stories to go along with your notecards- any technique that allows you to connect and relate to the material- is a great place to start in trying to remember new content. Try writing out examples from your own life that relate to the concepts you are learning, or find examples from other classes and subjects you can relate the new idea to. Put the information into your own words. One way to do this is to talk about and explain the material to someone else. Explain why it is relevant to your life. When you have a long list of items to remember, such as a shopping list, link every item on the list with with a familiar place or route, and try to visualize it. This helps you think about the specifics of the item, links it to pre-existing knowledge, and elaborates the encoding process. When it comes to forming memories, the more the merrier! Processing the same information at different levels has been shown to improve memory as well! Mind maps are a great way to enage with something both visually and sematically, but any way to process information on multiple levels is useful. Craik, F. I. M. & Tulving, E. (1975). Depth of processing and the retention of words in episodic memory. Journal of Experimental Psychology, 104(3), 268-294. Alex is an undergraduate student at Georgia Tech passionate about learning how and why things work. She loves reading, writing, and traveling, and spends her spare time listening to podcasts, playing and composing music, and telling bad puns.